For the good of our planet. For the good of humanity. Pick-up your travel voucher with a value of 50€ that you can use for any purchase of sustainable tourism offers. How can you get the gift? or fill-in the following form. We will send you the gift by email as soon as the platform is live. Let's make it happen! Support the tourists in all the stages, before, during and after the trip. 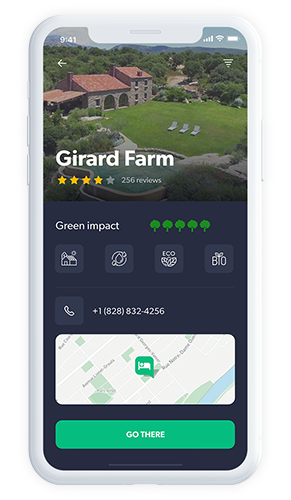 Multi-channel platform bridging eco-friendly tourists with eco-friendly transport, accommodation and other tourism providers. Travel aggregator data produce its own results from the list of tourism providers certified in the platform. 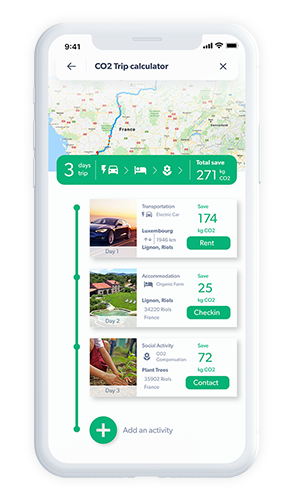 Tourists can organise and schedule their trips, add activities and calculate their CO2 impact and savings if they choose eco-friendly offers. 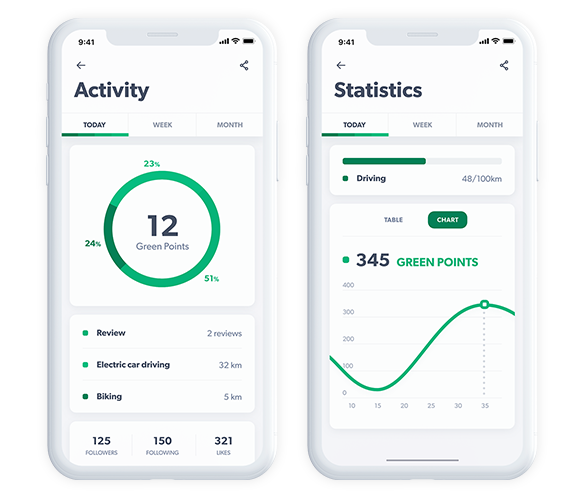 This service is based on CO2 impact calculator that sums emissions for every booking, as well as on a green compensation component that list all the activities that tourists can perform in order to compensate the CO2 impact. 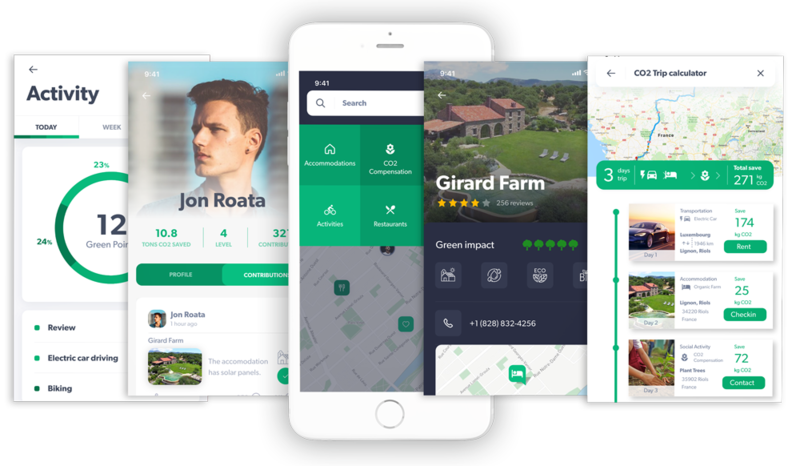 The platform offers all the tools necessary for a community to contribute in a circular, sustainable and green tourism ecosystem. Positive actions will be compensate by points/currency that can be used within the platform to purchase travel items. Contributors are offered awards & certificates that they can share on social media to inspire their friends. Gamification concepts such as offering tourists sustainability awards combined with social media integration. Community engagement through contribution awards and integration with social media. Tools and methods to incentivize the use of eco-friendly tourism. Positive actions will be compensate by points/currency that can be used within the platform to purchase travel items. 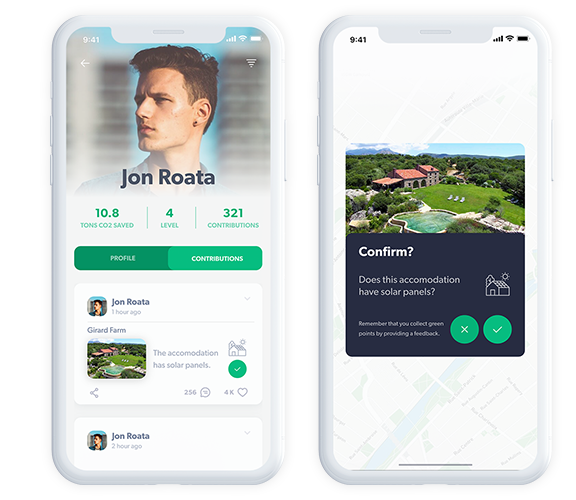 ​Undeniable eco-certification through blockchain validation. All the third parties listed on the platform will be certified either by other organizations or through self-reporting and community feed-back. Collaboration with local administrations, governments and non-governmental organizations that provide tools and activities which extract / compensate the CO2. Alternative compensation activities are provided, in order to reduce the negative impact of any touristic activity. 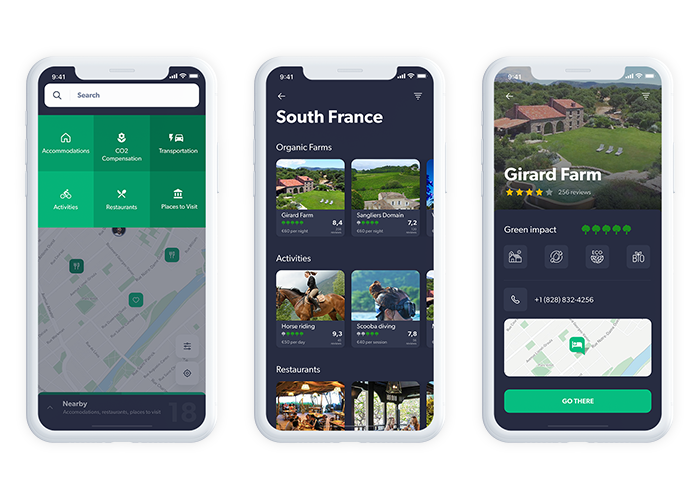 We are pleased to announce the development of the first dedicated sustainable tourism platform in Luxembourg. SustainableTourism.eco endeavors to transform the travel experience into a sustainable reality. 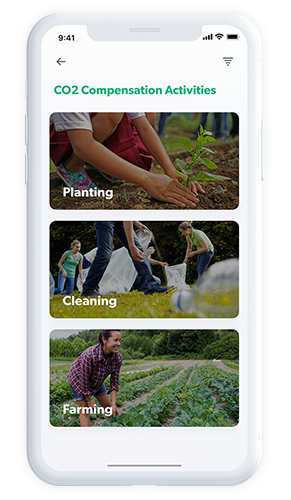 To achieve this, we are working to create a highly interactive ecosystem in which users are rewarded for their respective participation and contributions for a better planet. We are working hard to develop and launch the beta platform. The entire concept, content and intellectual property behind SustainableTourism.eco project are registered with The Benelux Office for Intellectual Property (BOIP), the official body for trademarks, intellectual properties and designs registration in the Benelux. SustainableTourism.eco © 2018. ALL RIGHT RESERVED.